If you’ve tuned in to any NFL games in the past few weeks, you’ve definitely noticed the number of players sitting or kneeling during the National Anthem. But why are they doing this? It all started in August 2016, when the San Francisco 49ers quarterback Colin Kaepernick announced that he would not be standing for the National Anthem. His goal? To call attention to police violence and his opinion of injustice toward African Americans. This act caused an uproar of mixed emotions in the media and among fans. A handful of other athletes followed his lead, until this fall, when dozens of NFL players joined in. Some players kneel, some sit, some link arms, and some don’t even leave the locker room. 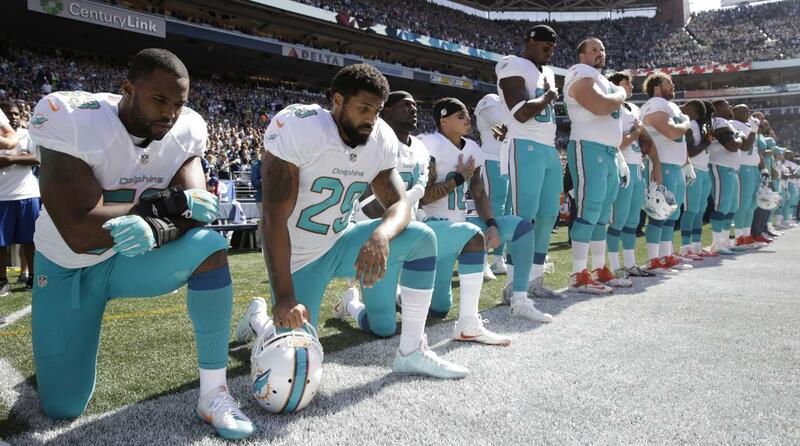 Since when has the NFL turned into a political podium to announce your stance on certain issues in the country? Most people want to turn on the television to watch a football game on any given night and witness two teams compete. Players are being paid to play, not to give their political views. And since when has making a political statement turned into disrespecting your country? The anthem stands for our country, and if you kneel or sit during it, you’re sending a message that you don’t like this country. If you feel the need to talk about politics, do it on your own time, not before a game on a stage where millions of people are watching. In my opinion, the NFL should not fire players participating in this act, but they should start fining them, because it needs to end. If they fired every player who protested, an alarming number of players would lose their jobs and the NFL would be left very sparse. 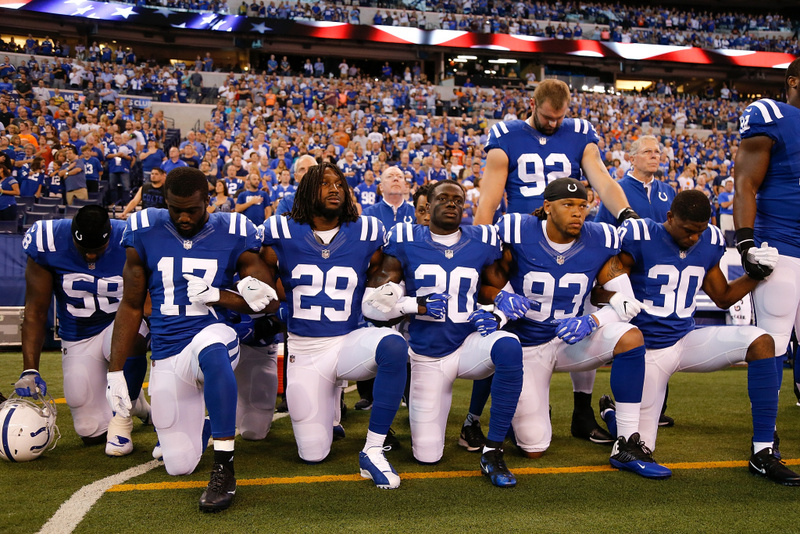 This past Sunday, almost all teams protested in some way, many of them in response to President Trump’s comments of discontent with the players of the NFL. In my opinion, sports should be something you can watch where no politics are involved. People are tired of the protests. It is time for the NFL to unite as one, and resume standing for the National Anthem. We want to watch football again, not a political debate.